The Friday Show Presented By The Match Series: Business Is Good? 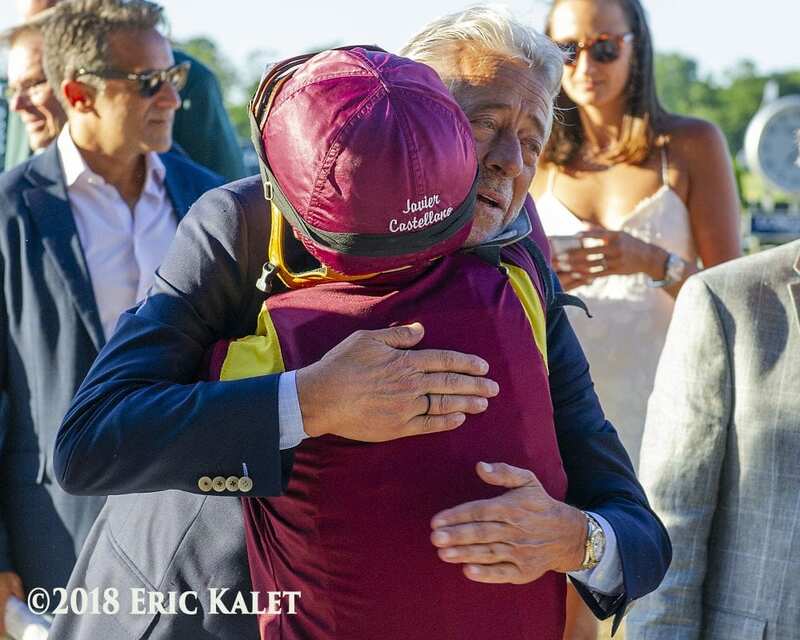 The betting handle came pouring in for last weekend's Travers Day at Saratoga, despite a lack of superstar power, namely this year's Triple Crown winner. In this edition of The Friday Show, Scott Jagow and Ray Paulick discuss the reasons behind recent record or near record handle days like the Travers and the Pacific Classic. Plus, what scenario might challenge Justify's lock on Horse of the Year? And is the Triple Crown too influential in Eclipse Award voting? This entry was posted in NL Article, Ray's Paddock, The Friday Show, Videos and tagged catholic boy, eclipse awards, Friday Show, Justify, match series, New York racing, New York Racing Association, Ray Paulick, saratoga, Scott Jagow, The Friday Show, The Match Series, Travers Stakes, Triple Crown by Paulick Report Staff. Bookmark the permalink.